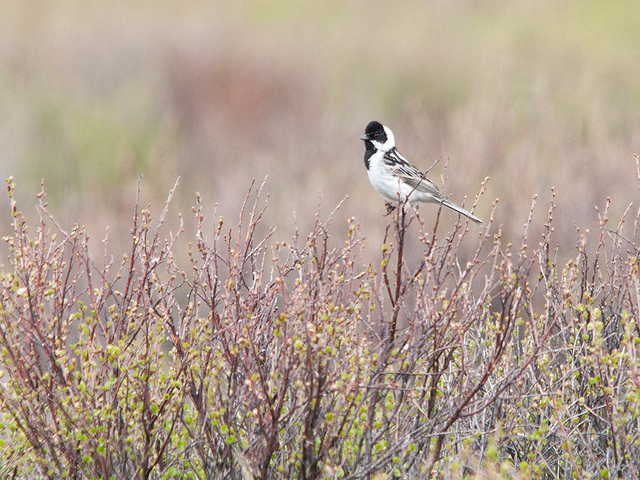 The Pallas' Reed Bunting breeds in northern Russia on the tundra and hibernates in warmer areas in East Asia. In Western Europe it is very rare. 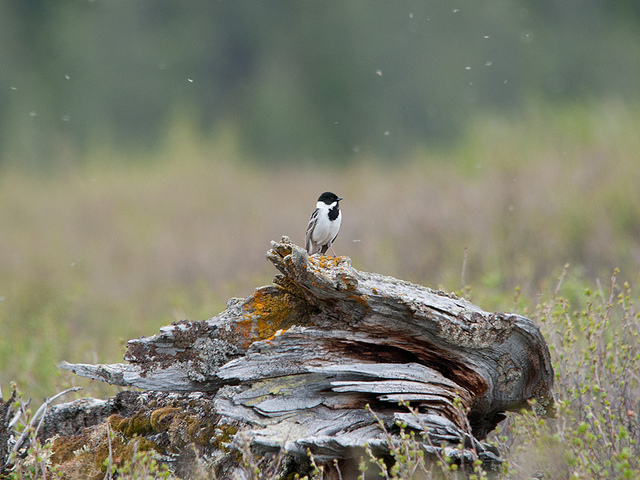 The male has a black head and gray wings, the female is brown.